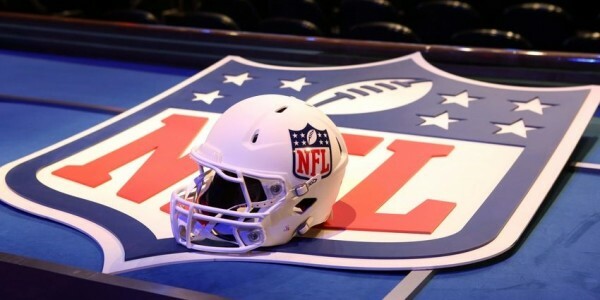 Welcome to SpankTheBookies NFL Preview for the 2016-2017 season, written by Rhys Newman (@newmaneagles). With the NFL only days away I've previewed all 32 rosters and gave you my opinion on how each team will perform. I will also provide a weekly preview as well as NFL tips throughout the season. Follow (@SpankTheBookies) and (@newmaneagles) on twitter for regular NFL updates. 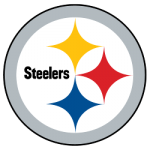 The Steelers seem to have completely transformed the way they play over the last few years, going from relying on their defence to win them games, to an offensive juggernaut. If their secondary can sort themselves out they should have a huge season. The front seven of their defence is actually pretty good, it’s just in coverage they seem to struggle. Despite Martavis Bryant being suspended for the year, their offence should still put up a silly amount of points. Le’veon Bell is easily a top 2-3 running back when he’s healthy, Antonio Brown is the best receiver in the league in my opinion, and Roethlisberger is still one of the better quarterbacks around. Barring injuries I think Pittsburgh finish with 11 or 12 wins this year and should top the division. Expect another solid season. They’re pretty solid on both offence and defence, but the big question they’ll need to answer this year is who is going to replace the production of Marvin Jones who signed with the Lions in the off-season. He isn’t exactly a big name receiver, but he was productive last year putting up over 800 yards on around 60 catches. With AJ Green attractive double coverage from most defences on the other side, whoever lines up in Marvin Jones’ spot should see plenty of chances in single coverage. Look for Tyler Eifert to build on his breakout season last year and put up good numbers again, as well as their one-two combination of Bernard and Hill at running back. 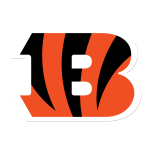 If the Bengals get into the playoffs i’m guessing it will be in a wildcard spot, and I haven’t seem them do enough in the off-season to make me think they’ll break their slump of going out in the first round again either. I doubt any team could be competitive if they had as many injuries as the Ravens did last year, Terrell Suggs, Joe Flacco, Steve Smith, all playing key positions for them suffered season ending injuries during the season. 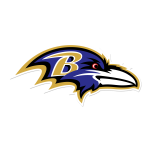 CJ Mosely, Elvis Dumervil & Terrell Suggs are 3 linebackers you should never want to play against, and I think their defence will be fine. It’s the improvements they’ve made to their offence during the off-season that I really like. They now have a solid set of running backs, and they drafted an absolute monster in Ronnie Stanley to block for them up front. I’m not a big fan of Mike Wallace but he’s certainly worth taking a chance on, and with the arm Flacco has he should get plenty of chances to go deep. I do like the Ravens to bounce back this year, but they’ll probably fall just short of the playoffs with 8 or 9 wins. Props to the Browns for finally admitting they made a horrific mistake in drafting Johnny Manziel and cutting ties with him, it took them long enough mind. It’ll be interesting to see how signing RG3 pans out for them, or at least see if he’ll last longer than the other 50 odd different quarterbacks they’ve gone through in the last couple of years. If Josh Gordon can stop getting suspended the Browns have a legitimate number one receiver for Griffin to throw to as well. Their offensive line is one of the better groups in the league which helps as RG3 has a bad habit of taking a lot of unnecessary hits, which is one of the reasons he gets injured quite a bit. 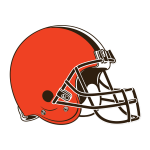 It will be fun to see how the Browns impliment Terrell Pryor (originally quarterback now turned wide receiver) into their offence too. Unless Griffin can mimic what he did in his huge rookie season I can’t see the Browns making much noise this year, i’ve got them finishing with 4 or 5 wins and coming last in the division. The only thing anyone has heard about the Patriots since the draft has been linked to Tom Brady and his pending suspension, when his appeal will be etc, but now it’s confirmed he will be missing the first four games of the season. Jimmy Garoppolo will be filling in for those four games, and as long as he doesn’t try to do too much the Patriots should be fine. They have plenty of weapons for him to throw to, Gronkowski obviously being the main one, and in my opinion they have the best coach in the NFL. A lot of people seem to think this could finally be the year someone knocks New England off their perch at the top of the AFC East, but i’m not buying it at all. Tom Brady will come back with a vengeance and coast to the division title again, and i’ve got them getting around 11 or 12 wins. 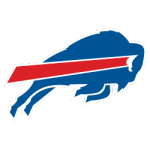 It was good to see the Bills sign their new found answer at quarterback to a long-term extension in the off-season, after not having a competant signal caller for a number of years now. As long as Tyrod Taylor doesn’t take a huge step backwards their offence should be impressive again this year. They have the best open field running back in the league in Lesean McCoy, and one of the most exciting big-play receivers around in Sammy Watkins too. Rex Ryan will no doubt have their defence ready to play, and I think they’ll have another above .500 season. I’ve got them finishing with around 9 or 10 wins and just missing out on the playoffs. Todd Bowles has arguably the best defensive front in the league at his disposal, and I expect their defence to be very good again this year. Ryan Fitzpatrick has finally re-signed with the Jets, after holding out for a contract that he was never realistically going to get, which will make the Jets receivers happy knowing they won’t have to deal with passes thrown by Geno Smith. 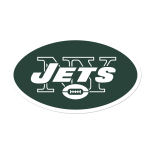 I really liked the Jets going out and signing Matt Forte to be their lead running back in the off-season, who offers a lot more in the passing game than they had with Chris Ivory last year. Forte has been solid for a number of years with the Bears, and should have a productive season in New York. I’ve got the Jets finishing just behind the Bills with 7 or 8 wins. I’m beginning to feel really sorry for Ryan Tannehill, who gets a lot of criticism when the Dolphins under perform (which is all of the time). He really isn’t a bad quarterback, and getting smacked 10/15 times a game really isn’t making it any easier for him. 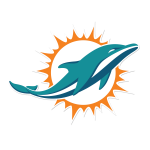 He now has a quality wide receiver in Jarvis Landry on the outside, and a new running back in Arian Foster who will need to stay healthy if Miami want to do anything this year. On the defensive side, Miami landed a trade to get both Kiko Alonso & Bryron Maxwell, and they’ll both need to drastically improve on their performances last season. Having Cameron Wake & Ndamukong Suh in front of them will help, but I still think they have too many holes on their defence. I have the Dolphins getting 6 or 7 wins this year. This should be a fun team to watch for the next few years. The Jags finally have their quarterback, and finally seem to be heading in the right direction. 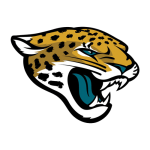 Their offence is going to put up serious points this year, as they have weapons absolutely everywhere, and Allen Robinson seems set for another huge year if the pre-season is anything to go by. On defence they essentially have three first round picks all making their NFL debut this coming season in Jalen Ramsey, Myles Jack, and Dante Fowler who missed his entire rookie season through a torn ACL. These are all impact players that could make a huge difference this year, and I see the Jags getting 8 or 9 wins, and that should be enough to win this division. When healthy, Andrew Luck is still the best quarterback in this division. He’s had a couple of disappointing seasons, and he hasn’t exactly had great protection from his offensive line which hasn’t helped, but he now has a selection of highly drafted wide receivers to throw to as well as TY Hilton. 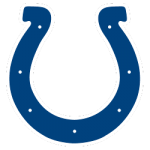 The Colts are going to struggle to stop anyone on the defensive side of the ball, and will need to show a huge improvement from what they’ve produced in the last few seasons. They don’t need to be a top tier defence, but as long as Andrew Luck returns to form and gets some help, they won’t need to be either. I’ve got them just falling short of the division with 7 or 8 wins. Like the Jaguars, this should also be a fun team to watch for a while now. Marcus Mariota seems set to build on a solid rookie season, and the Titans running game looks something to be reckoned with. In the off-season they also added Andre Johnson to their receiving core, and while his career may be winding down, he should still be productive and offer Mariota a reliable target on the outside. 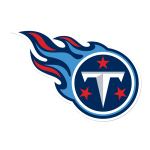 Their rookie wide receiver Tajae Sharpe seems to be lighting it up in pre-season, they still have Delanie Walker at tight end, and I think them moving Kendall Wright inside to slot receiver will get the best out of him too. Their defence is what worries me, with only Jurrell Casey, Brian Orakpo and Jason McCourty being the only real difference makers, but the best way to help a defence is having a good run game, which they definitely have in Demarco Murray and rookie Derrick Henry. I have the Titans finishing with around 7 or 8 wins. Again Jadeveon Clowney has shown flashes of what he can do in the pre-season, and everyone is waiting to see what he can do playing alongside JJ Watt on the Texans defensive line. JJ Watt missing pre-season time due to surgery in the off-season won’t be too concerning, as he is still the best defensive player in the league regardless of whether he’s practiced or not. Their defensive line is by far their biggest strength, and the back end of their defence isn’t exactly terrible either. What I most look forward to seeing is how Brock Osweiler pans out at quarterback. He has a decent offensive line in front of him, and DeAndre Hopkins at receiver, which to be honest is all any quarterback should need. Osweiler also had plenty of weapons in Denver and arguably deserved to start in the playoffs for their Super Bowl run, which may be the reason he elected for a new team I guess. 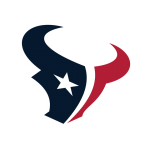 I have the Texans finishing regular season with 6 or 7 wins and going from first to last. Not having Justin Houston for most of the upcoming season due to an ACL tear will be a huge loss for the Chiefs, but their defence is still loaded with talented players. 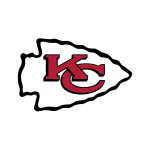 Up front Dontari Poe & Tamba Hali are great impact players, and on the back end of their defence they have Eric Berry healthy and playing well again, and Marcus Peters coming off an insane rookie season last year. As for the offensive side of the ball, Jamaal Charles is coming off yet another injury, but by the sounds of it he shouldn’t be limited at all when the regular season actually starts. Jeremy Maclin also had a solid first season in Kansas City, filling a void they’ve had at wide receiver for a few years. Travis Kelce still remains the only tight end in the NFL that comes anywhere close to Gronkowski in terms of production, and Alex Smith still seems to be getting the job done at quarterback. I’ve got them winning 10 or 11 games and winning the division. After signing Von Miller to a monster contract extension, the Broncos have the pieces in place to dominate defensively for the next 5 to 10 years. Their defence carried them last season, all the way to the Super Bowl, and then basically won the Super Bowl for them too. I still think they’ll be extremely tough, but I think teams will have a little more success against them this year. Their offence is what worries me, and more specifically their quarterback situation. 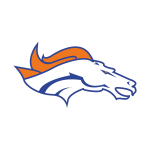 They signed Mark Sanchez thinking he could be able to do the job until rookie Paxton Lynch develops a bit more, but after having a terrible pre season the Broncos have elected to go with Trevor Siemian (WHO?). Siemian has only seen the field once and that was just to run the clock down at the end of a game. The Broncos have loads of weapons for him to throw to, and a decent running game, but all he has to do is avoid making too many mistakes and their defence will do the rest. I’ve got Denver winning 9 or 10 games. I really like the way the Raiders are heading, and Carr looks like he could finally be their answer at quarterback. 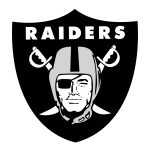 They have a decent veteran wide receiver in Michael Crabtree playing opposite their standout receiver Amari Cooper, and a decent running back in Latavius Murray as well. The way they’re putting their defence together is what really has me excited. Khalil Mack honestly could win defensive player of the year this season, he’s that good. They also signed Bruce Irvin from the Seahawks in the off-season, who was a situational player in Seattle but his role could expand in Oakland (or soon to be Vegas?). They also used their highest draft pick this year on a defensive end, and if Aldon Smith can stop getting suspended he could be huge for them on the other side too. I’ve got the Raiders winning around 8 games this year, but they’re only one good draft away from being a playoff contender. The Chargers lost their most productive player to a season ending injury last year, when Keenan Allen was actually on pace to break the all time record for catches in a single season, and the Chargers really struggled to replace him. I think he’ll have another strong season this year barring injury. 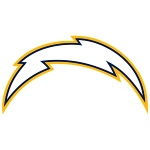 San Diego really like what they have with Danny Woodhead as a pass-catching threat at running back, but it’s their first round running back from last year they really need to step up going forward. Melvin Gordan had a pretty underwhelming rookie season, but all the talk coming out of the Chargers off-season has been about how much better Gordan has looked, so we’ll have to wait and see I guess. Expect Philip Rivers to put up big numbers as he normally does, despite having a horrific offensive line protecting him. Antonio Gates will slow down at some point, but I still think he has another good year or so left in him at tight end. I won’t bother talking about their defence as that’s the reason I have them at the bottom of the division with around 6 or 7 wins. Aaron Rodgers. He is still the best quarterback around, and will be for the next couple of years at least. The Packers offence stumbled a bit last year without their main receiving threat Jordy Nelson, and while they had another productive receivers to throw to, none stretched the field and made a defence sit back as much as Nelson could have. Making a defence play deeper opens up more space in the running game, which means Eddie Lacy should be primed for a bounce back year too. 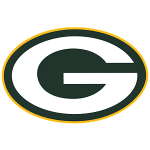 Their defence still has plenty of impact players including Clay Matthews and Julius Peppers, and a great defensive co-ordinator in Dom Capers. Their defence won’t be near the top of the league rankings in terms of stats, but with Rodgers marching up & down the field on offence, they’ll just need to get a few stops here & there. I’ve got them winning the division comfortably with 11 or 12 wins. It was absolutely gutting to hear about Teddy Bridgewater’s injury, dislocating his knee and tearing an ACL at the same time, which puts him out of action for the year undoubtably. 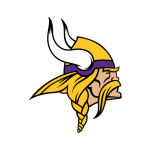 With Bridgewater, you could have made a case for the Vikings actually winning this division, but not anymore. They still have the best overall running back in the league in Adrian Peterson, a decent offensive line, a good receiving tight end in Kyle Rudolph, and rookie first round receiver Laquon Treadwell who showed he can be a huge weapon in college. Their defence is one of the better units in the league at the moment as well, which makes me think they’ll be able to stay in some tough games even with Shaun Hill now starting as their quarterback. I’ve still got them winning 8 or 9 games, even without their starting QB. The post-megatron era has begun in Detroit, but I don’t the drop off will be as severe as some people are making it out to be. 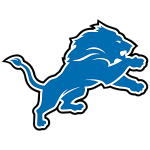 Matt Stafford still has plenty of weapons in Golden Tate, Eric Ebron, Brandon Pettigrew, Ameer Abdullah who has so much speed it’s not even fair, they’ve added Marvin Jones and also have Anquon Boldin who is one of the more reliable targets you’ll find at wide receiver. I think Stafford will still put up close to 4000 yards, but not having Calvin Johnson anymore does make defending them a lot easier. Their defence has some nice veteran pieces with DeAndre Levy, Haloti Ngata who is still a great run stopper, and Ziggy Ansah who is improving every year. My main concern is the back end of their defence, which has a lot of holes. I have the Lions finishing with 6 or 7 wins. 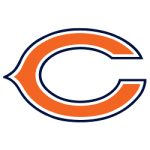 Now that their most reliable weapon for the last few years has left (Matt Forte), Jay Cutler will have to rely on his two big receivers to put up a lot of points. Alshon Jeffrey has proven he can be productive, and I still don’t understand why they got rid of Brandon Marshall but last year they drafted who is thought to be his replacement in Kevin White, who missed all of last year through injury. Kevin White has looked decent in pre season so far and it’ll be fun to watch how defences cope with both receivers, If Jay Cutler can get them the ball. Aside from Kyle Fuller their defence has no stand out players what so ever. I think their defence will really struggle to stop people this year, and their offence isn’t capable to keeping up with most teams. I’ve got them finishing bottom with 4 or 5 wins. As an Eagles fan this is painful, but the Cowboys are primed to win the division this year, even with Tony Romo being out for the first half of the season. They’ve invested so many high picks on building an elite offensive line, and it really is starting to pay off. They still have Dez Bryant who is easily a top 5 receiver, and the prize running back of this years draft in Ezekiel Elliot. 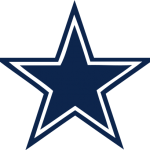 Their rookie quarterback Dak Prescott has showed a lot more poise and maturity in what most were expecting in his pre season matches, and should be fine until Romo is healthy again (to be honest I could be a pro bowl QB behind that offensive line). Their defence is by far the worst in the division, but their offence has been built to compensate through running the ball all game and keeping their defence off the field. Expect both Elliot and Morris to have big years at running back for them, and Dallas to scrape the division with 9 or 10 wins. This off-season was pretty uncharacteristic from the Giants, who normally don’t make much noise at all in terms of signings, but this year they made two huge ones with Olivier Vernon & Janoris Jenkins. Jenkins paired with DRC at corner should be a huge improvement on what they had last year, but both are prone to giving up big plays here & there. Vernon essentially gives Justin Pierre-Paul the pass rushing partner he hasn’t had since Justin Tuck left a few years ago. I like both signings but I do think they massively overpaid both players, but we’ll see. Offensively, if Eli Manning can’t have a massive year he may as well retire. Odell Beckham is an absolute freak, Victor Cruz finally has two working knees, and they also spent a high draft pick adding another weapon in Sterling Shepard. 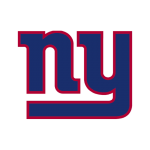 With defences panicking about Odell Beckham, don’t be surprised if Cruz or Shepard have a huge season because of all the single coverage they’ll be facing. I’ve got the Giants at 8 or 9 wins. Like the Giants, the Redskins now have a legitimate trio of players at wide receiver. 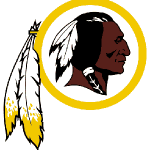 Pierre Garcon is the reliable intermediate receiver, DeSean Jackson has the speed to take the top off of basically any defence he plays against, and they also spent a high draft pick on adding Josh Doctson to give Kirk Cousins even more toys to play with. Jordan Reed is also an elite tight end in terms of receiving, and they’re really confident in their young running back Matt Jones, at least confident enough to let Alfred Morris leave in the off-season. Again like the Giants, they massively overpaid for a corner in the off-season and signed Josh Norman, who is coming off his breakout year which ended in a Super Bowl loss with the Panthers. I’m not saying he’ll have a stinker of a season, but half of his success in Carolina was because the Panthers had such a deadly front seven, opposing quarterbacks were rushed/forced into bad throws, where Norman was obviously the beneficiary of that racking up a load of interceptions. I’ve got the Skins dipping slightly from last year and finishing with somewhere close to 7 wins. At last, after ruining an offence that was once filled with pro bowlers and turning them into by far the worst offence in the division, Chip Kelly is finally gone. 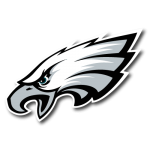 Doug Pederson comes over from being the offensive co-ordinator at Kansas City to head coach of the Eagles, the team he once actually played for. His first move was jumping up in the draft and getting who he believes to be his QB of the future in Carson Wentz, who they’re adamant won’t see the field this year. This leaves an offence lead by Sam Bradford, an offensive line that really needs to keep him upright, Ertz at tight end, and Jordan Matthews at wide receiver. The fact that they recently made the trade for Dorial Green-Beckham, shows they clearly weren’t happy with what they have at receiver. Defensively I actually really like the team, Malcolm Jenkins & Rodney Mcleod form arguably the second best safety tandem in the league behind Thomas & Chancellor in Seattle, their starting linebackers are good but they have no depth, but their defensive line is very strong. Jim Schwartz will certainly have the defence ready to play, it’s just the offence that worries me, I’ve gone for them to finish regular season with 6 or 7 wins. Cam Newton had far & away his best year as a pro last season, carrying an offence that in all honesty didn’t have many weapons all the way to the Super Bowl. 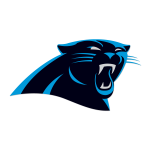 Still look for them to be a run-heavy team, but look out for Kelvin Benjamin coming back from missing all of last season with a knee injury. Greg Olsen is easily in the top bracket of tight ends in the NFL, and he saw plenty of action last year with Benjamin out. Defensively they’ve lost Josh Norman at corner, which does leave a huge hole to fill, but the front of their defence is that strong I still expect them to be a top 5 defence again this year. Luke Kuechly is the best linebacker around, and Thomas Davis playing next to him isn’t far behind. If you play fantasy football it’s still a defence you want to go for, i’ve got them with 11 or 12 wins. Since losing Jimmy Graham, the Saints offence hasn’t been quite as scary as it used to be, but I think this year they bounce back quite a bit. Drew Brees only has a few years left, but he can still put up ridiculous numbers. Brandin Cooks should have a huge season, being the Saints top receiving target, but their rookie receiver Mike Thomas has looked really good in training camp/pre season so far. They also have the traditional smash & dash combo at running back with Mark Ingram leading the way, and CJ Spiller to come in as the change of pace back for passing situations. 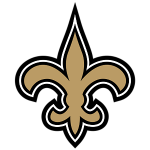 The main concern for the Saints is there isn’t much to like about their defence, and I think they’ll need to score 30+ points to win most games, so their season goes as far as their offence will let them really. I’ve got them at 9 or 10 wins. Jameis Winston is still developing, and while his rookie season was promising it’s still going to take some time before he takes the next step. He’s apparently load of a lot of weight in the off-season and seems to be taking training a lot more seriously, which will definitely benefit him this year. He has two absolutely massive targets to throw the ball to in Mike Evans & Vincent Jackson, and I expect Evans to put huge numbers this season. Doug Martin will quietly put together a solid 1000+ yard season at running back, but I still they’re a player or two away from being legitimate contenders. 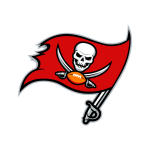 Defensively Gerald McCoy is a very good defensive tackle, and Lavonte David will continue to make flash plays at linebacker. I like the addition of Daryl Smith, although his career may be winding down he can still lead a defence. I’ve got the Bucs getting around 6 or 7 wins. Devonta Freeman was the most productive running back in all of fantasy football last year, and I see him having another good season but not quite as good as last year. Julio Jones is still the player you have to stop when playing the Falcons, but outside of those two there isn’t any other player that really catches your attention. Matt Ryan could struggle a bit this year when he has to throw to anyone other than Julio Jones, despite signing Muhammed Sanu from the Bengals in the off-season. 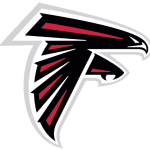 Their defence doesn’t have any impact players that can change a game, and without a juggernaut of an offence to compensate I expect a long season for the Falcons. I’ve got them getting 5 or 6 wins at most. 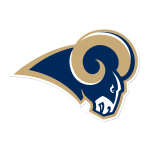 When the draft came around the Rams thought they had their answer at quarterback by picking Jared Goff with the number one overall pick, assuming he was ready to start for them week one. After a few pre season games they don’t seem to sure, and this may really cost them for not just this season for the foreseeable future as well. Luckily for Goff/Whoever they decide to start, they have Todd Gurley to hand the ball off to, coming off a ridiculous rookie season and is arguably the most sought-after running back in fantasy football this year. Their defence is pretty good, with their strength being their defensive line which features a top candidate for defensive player of the year in Aaron Donald. The Rams are basically a quarterback away from being a playoff team, and i’m not convinced Goff is the answer, but it will be fun to see how it pans out regardless. Somewhere close to 6 wins for the Rams. The Niners are essentially in rebuild mode, and despite having one of the deepest teams in the league a year or two ago, now suddenly don’t have a lot of talent left. First of all they need to decide whether to keep Colin Kaepernick or not, because I doubt he’ll be happy sitting behind Blaine Gabbert all year, and neither would I. Carlos Hyde should have a decent year at running back, as Chip Kelly loves to run an up-tempo run heavy offence, but the rest of the offence has nothing to offer apart from going deep to Torrey Smith. Their defence was pretty much on par with Seattle a few years back, which was an awesome rivalry to watch, but the only elite player remaining is Navorro Bowman, and he can’t play the other 10 positions on the field for them. Regardless Chip Kelly teams are normally interesting to watch for good or bad reasons, but mostly bad this year. 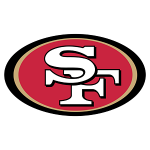 4 or 5 wins for the Niners. Arizona are my Super Bowl pick for this year. 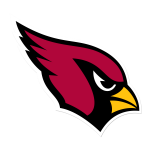 Their offence has weapons absolutely everywhere, David Johnson looks to be the running back everyone expects to make the leap this year, Chris Johnson is still very productive behind him, and Andre Ellington would see the field a lot if he was on another team as he can still play. Larry Fitzgerald has been good for as long as i’ve followed the NFL and I don’t think he’s due to slow down just yet. John Brown has elite speed and is the true deep threat on this team, and JJ Nelson is also very under rated. 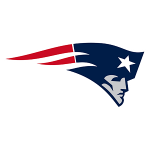 Defensively they have the most versatile safety in the league in Tyrann Mathieu, one of the elite corners in Patrick Peterson, they added Chandler Jones up front in a trade with the Patriots, they have difference makers all over the field. I have them taking the division with 12 or 13 wins. Russell Wilson continues to prove doubters wrong by showing he is an elite quarterback, despite not really having any big name receivers to throw to in his career. The reason I think the Seahawks slow down a little bit from last year is because of Marshawn Lynch retiring this off-season. He has been the focal point of their offence for the past few years, and a big part of the reason they’ll been so successful recently too. Thomas Rawls had a promising start to his NFL career filling in for Lynch last year until he got injured, and they fully expect him to carry the load this year. 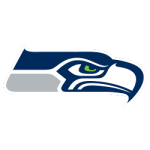 Defensively they’re still elite, and always will be as long as Richard Sherman, Earl Thomas & Kam Chancellor are around. They lost Bruce Irvin in free agency, but their defensive front is still very strong. I’ve got them finishing just behind the Cardinals at 11 or 12 wins.